The fun of witnessing a live match is very different. It becomes all the more exciting when the stadium has facilities which are modern and technically sound. 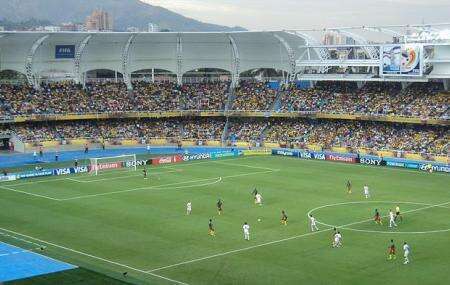 The stadium is divided into seven stands for sporting events. Watching soccer here is going to be real fun as the stadium is huge and beautiful. The concerts which are held in the vast space are again the highlight of the place. Despite of the fact that it is thronged by people in large numbers, yet the facility has been maintained very well. You can sit on the upper ring too as it is fully covered. Hopefully you will enjoy watching a match here. It's a very nice stadium, very modern and there is a museum within. Home of América de Cali, one of the most popular Team in Colombia and South América. Also it is common to attend music concerts in this Stadium. Not bad..The Bar at the top is Nice..Great view..